An example of how the UK’s leading magazine publishers are embracing the opportunities offered by digital to drive subscriber growth was our announcement on the occasion of the Professional Publishers’ Association’s ‘Customer Direct Conference’ at the Jumeriah Carlton Tower Hotel in London, on 18th November 2015 that each of Bauer Media, Future Plc and Immediate Media will integrate the Buyapowa software into their magazines’ websites. Thanks to Buyapowa’s easy to use sharing tools, each of these publishers will enable and empower existing loyal magazine subscribers to recommend, straight from the magazines’ websites or from newsletters, that friends, family and colleagues try out their favourite titles. By referring and sharing across email, social networks, SMS and instant messaging apps like Whatsapp, subscribers will be able to earn rewards for each friend or colleague who takes out a new subscription. 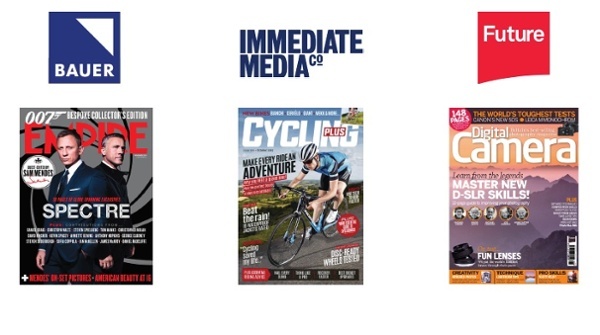 The magazine industry because it attracts a passionate and loyal readership is ideal for word of mouth marketing, and with the right incentives and tools, magazine publishers can drive subscription growth by empowering and enabling those readers to recommend and refer their friends. ‘Given the UK’s long heritage in magazine publishing, it’s encouraging to see three of UK’s foremost magazine publishers take the lead in adopting innovative new marketing techniques. In fact, by realising that their audience of existing subscribers contains many potential loyal advocates they simply are returning to one of the oldest marketing techniques in ‘Word of Mouth’ but supercharging it by adding the latest referral marketing software to enable, incentivise and track sharing. Whether you are in the Magazine publishing business or any other publishing or subscription business, then you should be looking at empowering the people who already love your products and services to encourage their friends and family to give them a try. If you want to want to talk to the experts in referral marketing and see how we can help you make word or mouth a whole new customer or subscriber acquisition channel, then drop us a line.